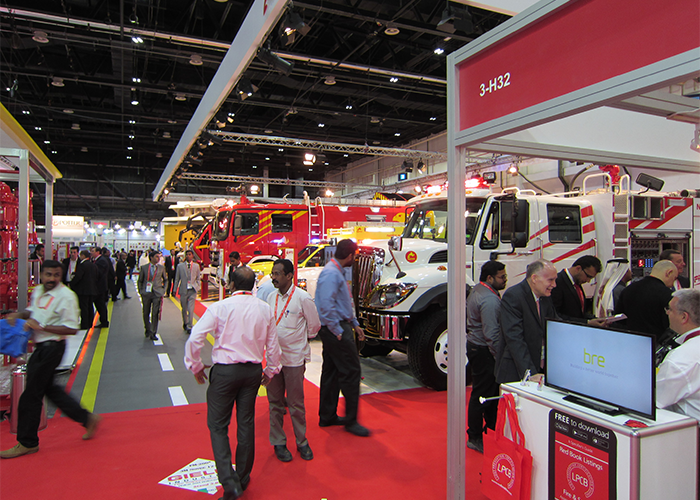 Dubai, UAE, 17 September 2015: The countdown has begun for the return of the world’s largest security, safety, and fire protection trade show in Dubai, with 90 per cent of exhibition space already booked some four months ahead of its grand opening for the 18th time. More than 1,300 exhibitors from 52 countries are expected to participate at Intersec 2016, which returns to the Dubai International Convention and Exhibition Centre with new features that reflect a constantly evolving regional and international security landscape. New developments at the three-day event, organised by Messe Frankfurt Middle East, include a Smart Home and Building Automation section, adding to the five other core sections of Commercial Security; Information Security; Fire & Rescue; Safety & Health; and Homeland Security & Policing. A Smart Home Live Demonstration area will take centre-stage at the brand new section, where industry leaders such as ASSA ABLOY, Honeywell, Dahua, CP Plus, WolfGuard, and TechCom, will showcase their latest home security, auto controlling, energy management and multimedia technologies in a 100sqm villa. With a focus on technologies such as KNX, X10, Zigbee, En-Ocean, Bluetooth, and Z-Wave, Smart Home Live Demonstration arrives as the Middle East commands ten per cent of the global smart home market, which is estimated to be worth US$55.8 billion by 2020, according to KippReport. 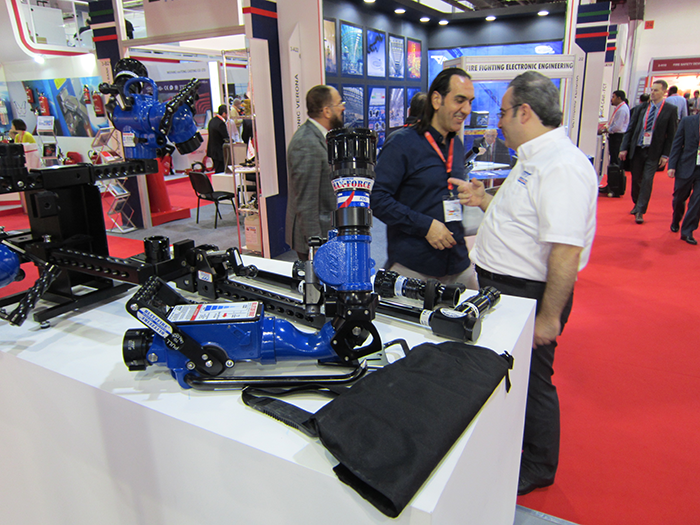 Intersec 2016, which takes place from 17-19 January, will also feature several brand new pavilions, including an already sold-out Safety Design in Buildings Pavilion in the Fire & Rescue section, where the spotlight will be on building construction, fire protection, fire rated building materials, fire alarms and smoke ventilation systems. A Jobs and Careers Pavilion, bringing safety and security professionals in touch with the right career opportunities; and a Drones and Unmanned Aerial Surveillance Pavilion wrap up the series of new additions to what promises to be yet another standout year for Intersec. Information Security is the fastest-growing section at Intersec 2016, and will double in size next year, with more than 40 exhibitors showcasing solutions that protect government and private institutions alike from cyber-crimes such as electronic fraud, sabotage, intellectual property theft, and malware and data manipulation. Meanwhile, Commercial Security will again be the largest section, with more than 600 exhibitors on board, including the world’s top ten security solutions providers. Chinese video surveillance specialist Dahua Technology, and Swedish-based giant Axis Communications are among the world’s top ten returning next year, and both have big growth plans in the Middle East and Africa. Dahua Technology will use Intersec 2016 to launch its latest Closed Circuit Television (CCTV) surveillance solutions targeting the three verticals of traffic, mobile, and smart buildings. Xin Chen, the General Manager of Dahua Technology Middle East, explained: “Our traffic solutions include radar devices, speed and red light enforcement, while our mobile solutions focus on public transportation, police vehicles, and school buses. We will also demonstrate how our smart buildings systems can integrate CCTV, access control, video intercoms, and alarms into one platform. Marwan Khoury, Marketing Manager for Axis Communications in the Middle East & Africa, said Axis maintains the number one position for network video surveillance in the wider Middle East thanks to its ability to be first-to-market with innovative products, coupled with a customer-centric approach that designs tailor made solutions specific to varying industry requirements. Returning features at Intersec 2016 include the GPEC (General Police Equipment Exhibition & Conference) Pavilion at the Homeland Security & Policing section; and the Techtextil Pavilion at the Safety & Health section, while three industry conferences held in cooperation with the Dubai Police and Dubai Civil Defence will also take place. The strong international flavour of the annual showpiece will be underlined by 16 country pavilions from Canada, China, France, Germany, Hong Kong, India, Italy, Korea, Pakistan, Singapore, Taiwan, UAE, UK, USA, and for the first time, Iran, and the Czech Republic. Held under the patronage of His Highness Sheikh Mansoor bin Mohammed bin Rashid Al Maktoum, Intersec is the flagship event of Messe Frankfurt’s global network of security and safety exhibitions, which include Secutech India, Secutech Taiwan, Secutech Thailand, Intersec Buenos Aires, Secutech Vietnam and Seguriexpo Buenos Aires.